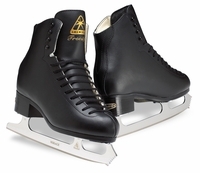 In 1966, Don Jackson, the 1962 World Figure Skating champion, inspired by his love of the sport and his keen interest in product design, developed the original Jackson figure skate. Don’s dedication to the sport has been recognized by induction in both the USFSA and Skate Canada Halls of Fame. President Kim Bauer, grandson of the founder of the Bauer Skate Company, has assembled a management team with over 90 years combined experience in the skate industry. The management team was given the mandate to produce a skate program with superior product and exceptional value for skaters of all skill levels. A state of the art skate factory was established in March 1996, located in Waterloo, Ontario, Canada. The factory is located a few miles from the original Bauer skate factory established in 1927. This major investment further demonstrates the continuing commitment to product excellence. In January 1997, the Jackson Skate Company was born, combining the inspiration of Don Jackson’s knowledge and passion for the sport with extensive skate experience and heritage. 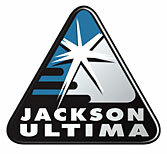 In 2001, Jackson Skate Company acquired Ultima Skates and became uniquely positioned as a respected leader in the competitive figure skating community. 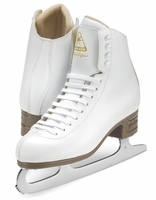 Jackson Ultima Skates has developed into a full line supplier, able to produce boots and blades for beginner skaters to Olympic champions. The Jackson Ultima Company has introduced many innovative products including the ProFlex articulated boot system and the Matrix Interchangeable Blade system. In 2009 Jackson Ultima introduced Matrix 2 blades, producing a blade that is 33% lighter than traditional blades. 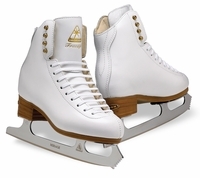 Whether you are skating for pleasure or competing at a World Class level, Jackson's vision is to provide skates of the highest quality, offered at exceptional value.